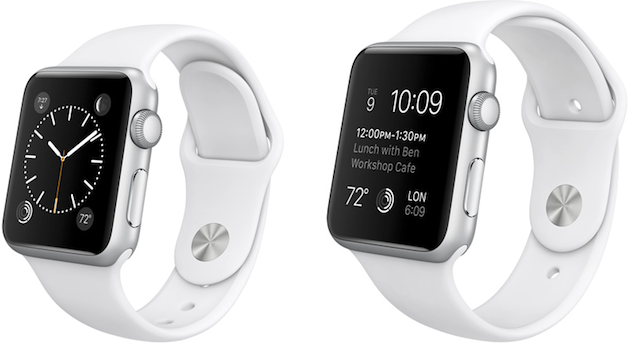 The Apple Watch will be available for pre-order in the UK from April 10, with the device going on sale on April 24. The iPhone-maker’s first entry in to the wearable market was officially launched at an event today (March 9) in San Francisco, where CEO Tim Cook called it Apple’s most personal device ever. The Apple Watch isnt just with you all day, it is actually on you. Apple will continue to create great products and this is our most personal one yet, said Cook. The Watch comes in three versions. The Sport version is the entry level wearable and is made from specially developed aluminium which Apple claims is 75 per cent stronger than regular aluminium. It will retail in the US from prices starting at $349. The Watch Collection has the largest number of watch straps available and is made from stainless steal that Apple claims is 80 per cent stronger than the normal material. It retails from $549. The most expensive version is the 18 carat gold Watch Edition, with prices starting at $10,000. UK prices were not revealed for any of the devices. The Watch comes with built in speakers and a mic allowing users to make calls from the device. Cook also revealed several apps, including Uber, Apple Pay and Instagram. It also has fitness functionality including a hard rate monitor, calorie counter and a reminders system that can calculate how much exercise youve done each week and remind you when to get up and do something active while at work.